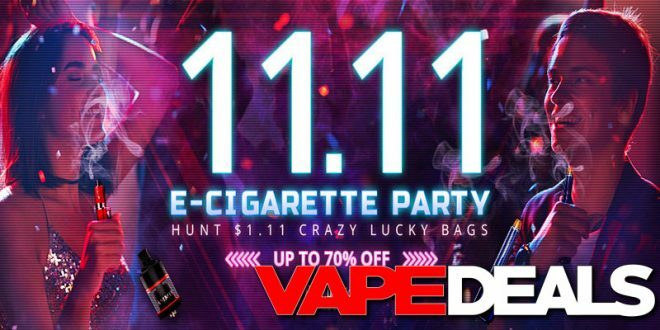 Gearbest just hit me up with the link to their annual 11.11 sale. And, in true Gearbest fashion… this deal is worth the time to check it out. They have super deals, flash sales, top brand deals, pre-order deals, $1.99 add ons, coupons and much much more. I mean this promotion looks like one of their biggest sales in a long time. Just head on over and check it out for yourself. And, don’t forget to leave a comment down below if you find anything you would like to share with the rest of the VAPE DEALS community. Thanks in advance.